After safe, low-toxic pest control in Dee Why? This is a suburb of the northern beaches of Sydney, in NSW, about eighteen kms NE of the Sydney CBD. It’s the administrative centre of the LGA of the Northern Beaches Council, and is considered to be one of the main areas of the Northern Beaches locality. Its Grand shopping centre – (owned by ISPT) is part of a large mixed-use development completed in July 2010 which includes a newly built hotel, 170 residential apartments, 10-storey 6,500 sqm office, large-format bottle shop and three-level basement car park. 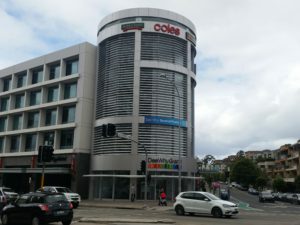 The centre features Aldi and a second Coles supermarket. Also on Pittwater Road is the Warringah Council Chambers and its own branch of Warringah Library, one of four networked branches of the Library including Belrose, Forestville and Warringah Mall. The Strand, running along the southern beach front, is a major commercial area, and features 2-4 storey buildings with apartments, cafes, restaurants and bars overlooking the beach. There is also a set of eight mainly single-storey shops at the corner of South Creek Road and Pittwater in the northern part of this suburb, next to the lagoon, as well as a few corner stores scattered in the more suburban areas.